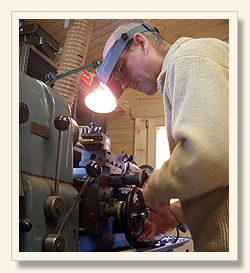 The pages in this section of the website provide descriptions, prices and information about the simple system wooden flute that are hand-crafted by Martin Doyle. Martin uses the best hardwoods available: African Blackwood, cocus wood (no longer available), mopane, boxwood and rosewoods. Special order flutes are also made from native Irish and European timbers if available. Sterling silver is used to make ferulles, tuning slides and keys which are added if required. Martin Doyle's philosophy is to produce a simple style of flute that is made to the highest standard and offers a sound that can be enjoyed by student, amateur and professional musicians alike. These flutes are elemental in their simplicity, yet are sought after by some of the world's finest musicians and flute teachers. While Martin Doyle's primary focus is on wooden flutes that are used in traditional Irish music (commonly known as Irish flutes), but he also produces Baroque flutes that are based on an eighteenth century Rottenburgh flute design and wooden headjoints for concert flutes. We invite you to view the pages listed in the submenu to the right to find out more about the wooden flutes that are made by Martin Doyle – flutes that have become renowned for their ease of playing and quality of tone. The waiting period for keyless Celtic or Traditional style flutes can be anywhere from two to six months depending on Martin's workload. 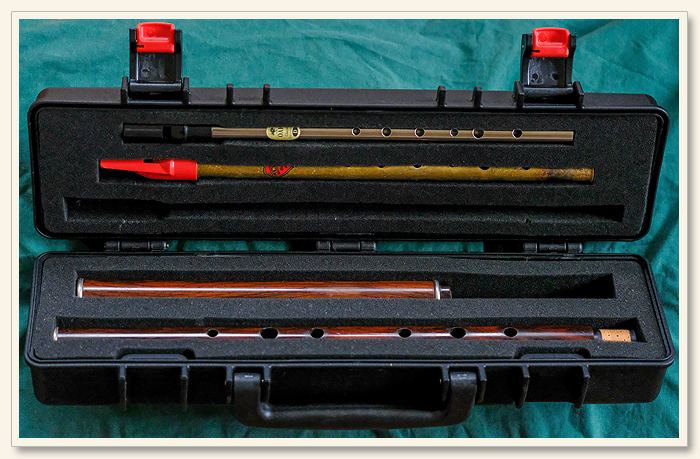 Keyed flutes should be ordered two years in advance but are often ready in less time. These retailers offer the opportunity for potential buyers to purchase a Martin Doyle flute without a waiting period. All Flutes Plus – London, England. Crehan Musical Instruments – the Irish traditional music store in Dublin, Ireland. Hatao: irishflute.info and celtnofue.com – in Takarazuka, Japan. Gandharva Loka – the world music store in Dublin, Ireland.